I am not a trained psychiatric professional. All content is offered for public viewing as a peer resource. Any psychiatric content is opinion, unless otherwise cited. Any opinions or advice expressed is not that of a medical professional, and should be handled as such. By law, only a trained medical professional can offer diagnoses and treatment options. I encourage each reader to consult their physician before acting on any content within. I reserve the right to offer my content at the discretion of the reader. Content within the site may be of a mature nature and is recommended for a PG-13 audience. I am not responsible for people of an inappropriate age gaining access to any and all content. This is a public site labeled for a PG-13 audience. Althought it is intended that the content remain appropriate for that age group, some posts may have content that may not fit that criteria. Warnings may be posted, when appropriate, but not always. Reader discretion is advised. Additionally, content within the site is of a sensitive nature for most audiences. However, possibly some more than others. These sensitive subjects may include child abuse, domestic abuse, sexual assault, suicide, suicidal behavior, self-injury, cutting, psychosis, and a wide range of life situations, social issues, and mental health topics. 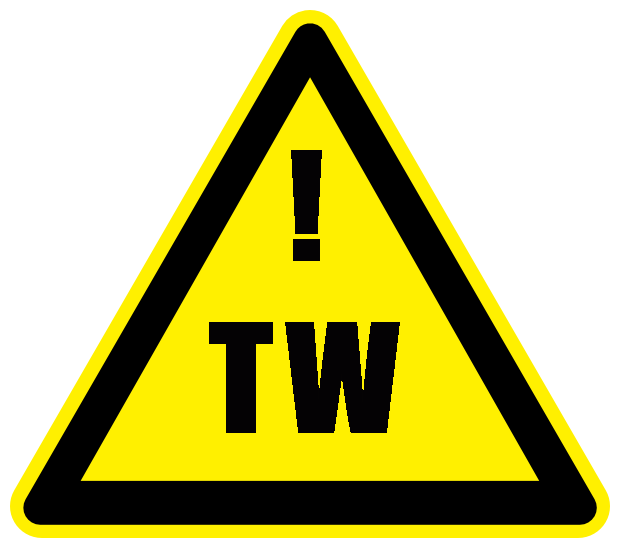 This site uses the Trigger Warning Emblem. This emblem may be used within a sensitive post, however, that is not guaranteed. Reader discretion is also advised.